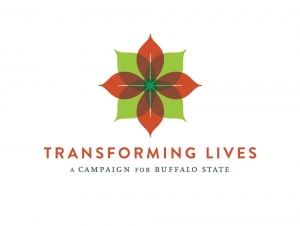 The Buffalo State campus is invited to celebrate the extraordinary success of the Transforming Lives Campaign with a closing ceremony hosted by President Katherine Conway-Turner on Tuesday, October 27, from 4:00 to 6:00 p.m. in the Campbell Student Union Social Hall. The celebration, open to faculty, staff, and students, will include reflections from various campaign participants, student dance and musical performances, a video summarizing the impact of the campaign, and a catered reception. When Buffalo State announced its first-ever comprehensive fundraising campaign, Transforming Lives: A Campaign for Buffalo State, in September 2012, following a one-year silent phase, the mission was to enhance the lives of students, support the faculty, and make the campus the best learning environment possible. The goal was to raise $20 million by June 2015. The campaign surpassed that goal by $7 million, thanks to the commitment and generosity of Buffalo State alumni and friends. Transforming Lives was designed to support five campus priorities: student scholarship support; enhancing the student experience; enhancing campus facilities; excellence in faculty teaching, research, and service; and the Fund for Buffalo State (annual fund). Campaign gifts were numerous and spanned the five priorities. Some of the noteworthy ones include funding for 30 new endowed scholarships, eight non-endowed scholarships; an endowed faculty chair in Exceptional Education; four endowed and one non-endowed Art Conservation Program fellowships; the E.O. Smith Arts and Humanities Faculty Development Fund; the Jim Grunebaum Speakers Series in Philosophy Fund; the Louis P. Ciminelli Recital Hall; the upcoming Jacqueline V. LoRusso Alumni House/Visitor’s Center; and the new Ferguson Planetarium. Brandys, ’71, ’73, and Dobmeier, ’71, will be recognized during the ceremony.